Lose To Win® is here! 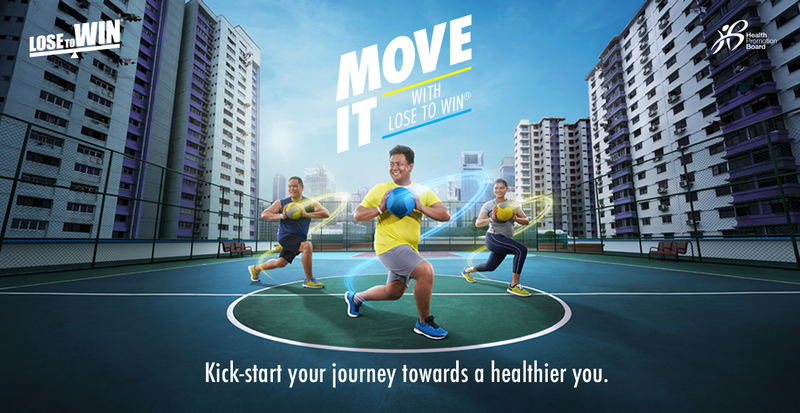 This year, this FREE 12-week weight-loss programme organised by the Health Promotion Board promises even more fun, flexibility and rewards to get you on track to exercising regularly and eating healthy. • Flexible and rewarding challenge to get healthy and stay healthy for life! • Attractive rewards, lucky draw prizes and surprise goodies. and rewarding to get healthy. So sign up for Lose To Win® 2019 today. •*Participants must be aged 21 – 64 at the point of registration. or individuals with muscular builds (e.g. athletes and body builders). Weigh in to obtain your challenge entry code and complete registration. Simply head down to the LTW booth at the various weigh-in locations island-wide to confirm your starting BMI and complete your registration. 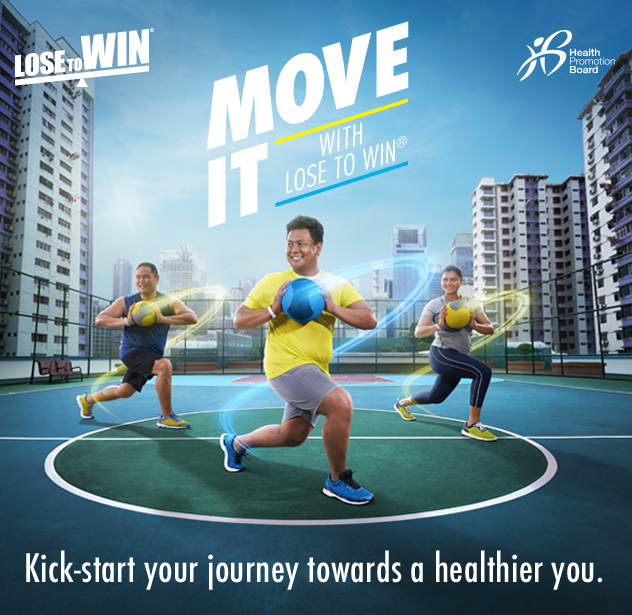 Attend your first Lose To Win® Exercise Session from 11 March 2019 onwards. Meet your team, a smaller group of Lose To Win® 2019 participants from around your area that you can journey with to get healthy. Meet your Motivators, there to help you set your goals, share programme mechanics and keep you on track to a healthier lifestyle over the next 12 weeks. Work with your Motivators and trainers and team to start getting active and eating healthy. Attend free workout sessions every week, held at various locations islandwide. Record your food log in the Healthy 365 mobile app to monitor your eating habits. Your HPB steps tracker can only store up to 7 days of data, so do remember to sync your step count and record your calories with the Healthy 365 app regularly. Weigh out after Week 12. You can weigh out at any of the Lose To Win® workout sessions during Week 12. What's more, look out for rewards coming your way for completing the Lose To Win® 2019 programme. What kind of rewards will I get? A healthier you! The Lose To Win® 2019 programme is designed to help you get healthy progressively. But that's not all. You'll also earn Healthpoints simply by attending our free workout sessions. *Lose To Win participants can attend unlimited number of workout sessions for 12 weeks. Participants will only be rewarded for up to 30 sessions – 2400 Healthpoints and 30 Grand Draw chances in total. Up to $5,000 worth of prizes to be won at our Grand Draw! Look out for surprise Lucky Draws during the workout sessions! For enquiries, please email us at hpb_losetowin@hpb.gov.sg.